Deere & Company (NYSE: DE) has again been included in Fortune Magazine’s ranking of the World’s Top 50 Most Admired Companies. 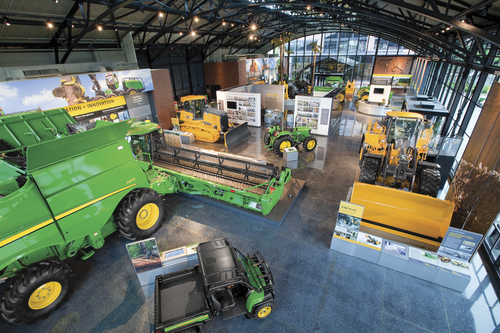 “The Fortune Most Admired ranking is evidence that John Deere’s 60,000 employees around the world remain focused each day on serving our customers and living our core values of integrity, quality, commitment, and innovation,” said Samuel R. Allen, chairman and chief executive officer at Deere. Fortune reports that more than 1,500 companies are reviewed for the Most Admired list, which the magazine states is the definitive report card on corporate reputations. The top 5 companies on the 2017 World’s Most Admired list are Apple, Amazon, Starbucks, Berkshire Hathaway and Walt Disney.